In fact I was one of them a few years ago. I often felt that I was here for a purpose and I needed to do whatever it took to find it. Actually, that’s how I got onto this Wild Woman Run Free Journey in the first place. I was searching for something that would give me purpose, a reason for being here. And although its taken me down this incredible journey, for which I am extremely thankful for… I’ve come to realize that it’s not just about “what you’re doing” or “what you’ve accomplished” or “what career or lifestyle you have”, that gives you purpose or that allows you to live your life ON purpose. I’ve learnt that LIVING A LIFE ON PURPOSE is all about how you feel on your journey and how many lives you can change with your presence. Many of us spend too much time, weighing up all the options that we have and the paths that we can take, but in the end, it doesn’t matter what path you take… as long as it brings you joy and contentment and allows you to serve others too. Yes we are all here with a purpose and research has discovered that feeling a sense of purpose is at the top of the self –actualisation pyramid. However, I believe that we should be more mindful of how we feel, rather than what we are doing. 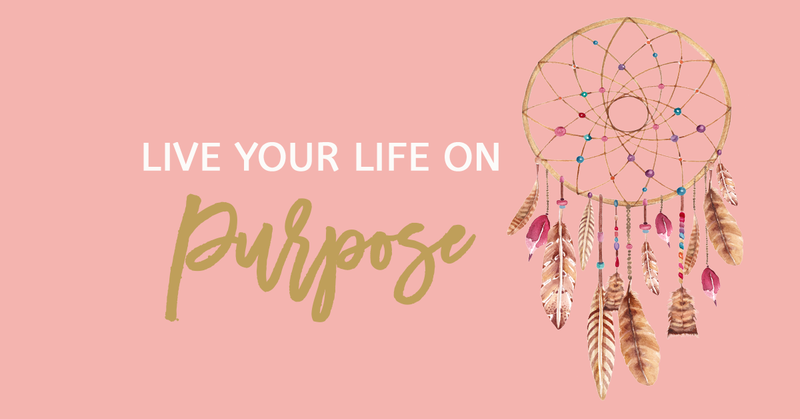 In today’s Wild Woman Run Free episode, I will take you through the tips on how to Live Your Life On Purpose, so listen below or check out Wild Woman Run Free Episode 020 on iTunes or Stitcher. If you haven’t joined the Wild Woman Run Free community yet, fill in your details at the top of this page and join us! And if you know of any woman who could benefit from this community and this podcast, please share! Or if you would like to hear more of the Wild Woman Run Free podcast, please subscribe! Till we meet again Wild Woman. Wishing you and your family a very Merry Christmas! Live Wild, Live Free, Wild Woman Run Free baby! As mentioned in the podcast, this is the incredible team who helped with the Wild Woman Run Free Photoshoot. I can’t recommend them highly enough! They were amazing!!! To find out more about the upcoming Wild Woman Run Free launch, join the tribe! Maria Cruz is a Sydney based portrait and floral photographer, who also placed runner up in SunStudios 2016, Assistants & Emerging Photographer Award. Kevin Villa is a stylist director and owner of Vella by KV located in Rushcutters Bay. Athina Paris is a Self Image & Fitness Coach specialising in personal branding and conscious living. She is dedicated to raising the good vibrations of the world one person at a time through empowered consciousness and self love.